An absolutely stunning gilded Gustav Becker Cartel Clock that chimes the number of hours on each hour, and once on the half-hour, on a brass bell. 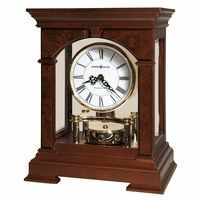 While we claim to be no experts on all of Gustav Becker Wall Clocks or Cartel Clocks, this is the only one of its kind we have seen with such exceptional beauty. It won the MEDAILLE D'OR (Gold Medal) in its day, which based on the serial number (2374889) on the back of the movement, is from about 1926. While very briefly on (transitional) display in our Showroom, it received an astounding number of positive compliments. 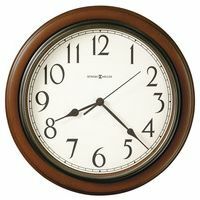 The clock is a keywound 8 Day time and strike movement, and has a painted metal dial. It has the minimal dial and case wear (mentioned for accuracy only) that one might expect of a clock of this vintage. The Gustav Becker Logo is on the back of the movement, as is the Gold Medal Winner Medallion. This can all be seen in the pictures provided. The clock's movement is marked "Gustav Becker Freiburg", with an anchor and crown in a circle as symbols. Also, as can be seen in a picture below, aside from the production number already noted, it says "D.R.P. No. 171658", just below and between the two circles on the movement's back. 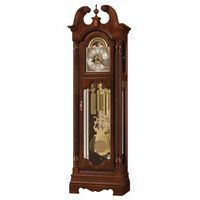 The clock measures approximately 25 inches (65 cm) in height (from top to bottom), and 14 inches in width (36 cm).